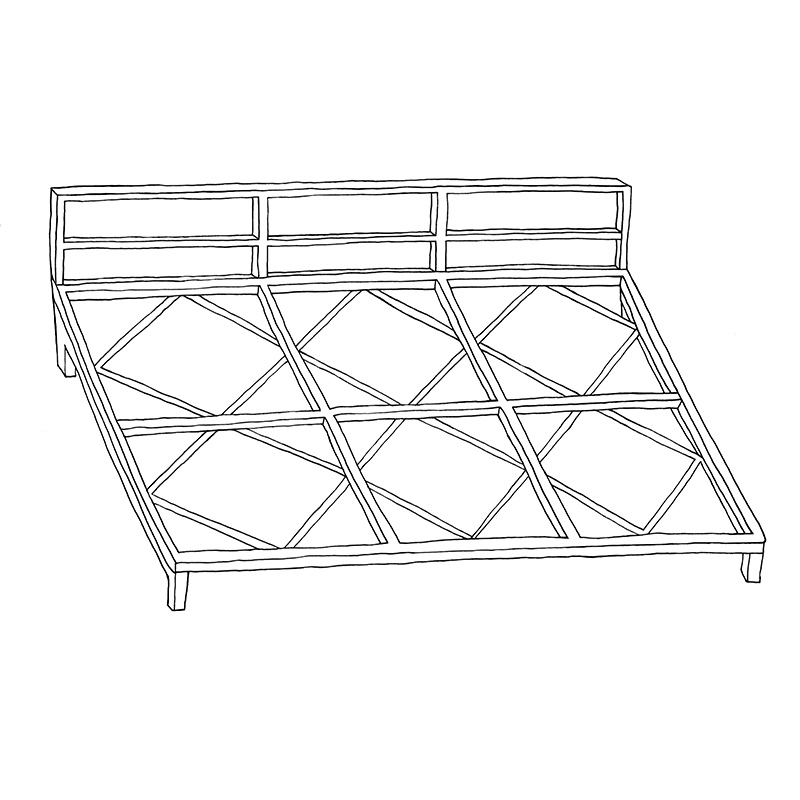 Mattress frame with or without backrest. 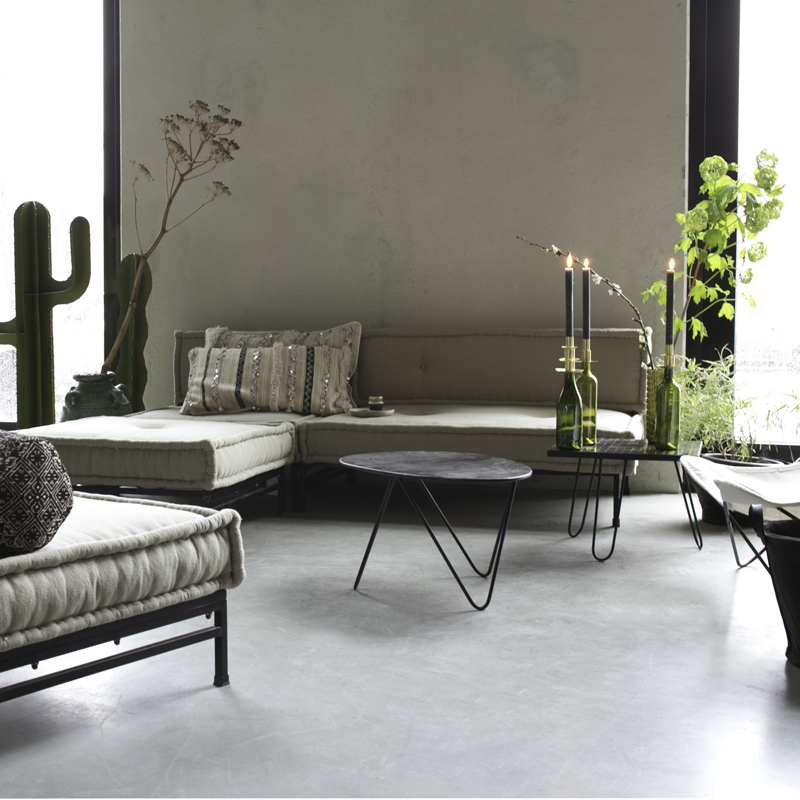 Combine different shapes and mattresses to create your own unique lounge area. The frame is made from steel and can easily be used inside and outside. 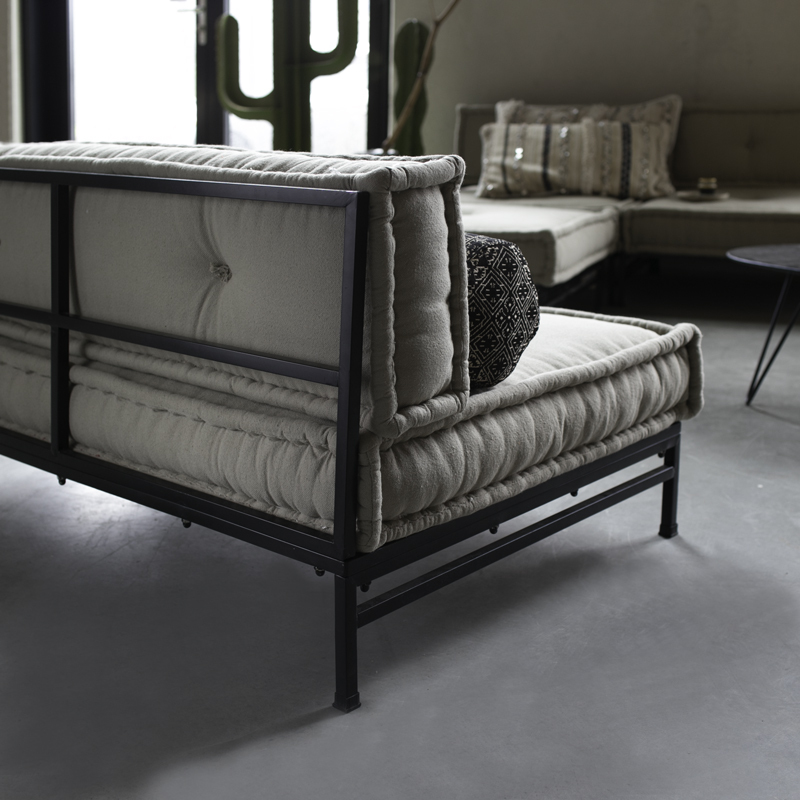 Make your own daybed, diner table bench, lounge bench or even use the daybed as a spare bed for an overnight guest. The frames are being produced right now, and will be available late May. If you already want to make a reservation for your frame, please do so! Send us an email, or call! 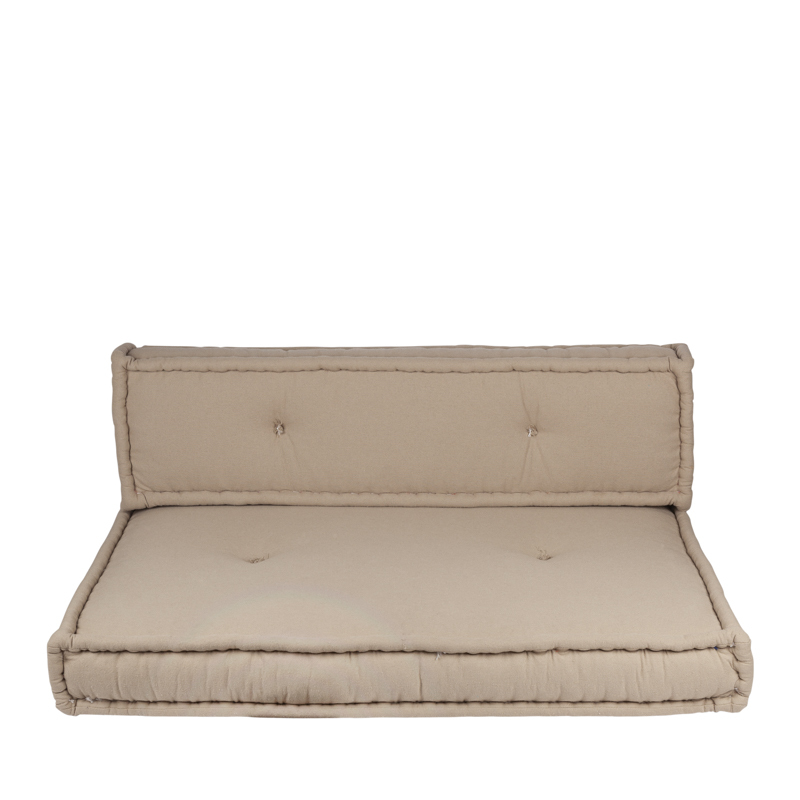 The mattresses usually used for sitting are sold in the sizes 80x80x15 cm, and 120x80x15 cm. The mattresses usually used as back piece are sold in the sizes 80x30x15 or 120x30x15. 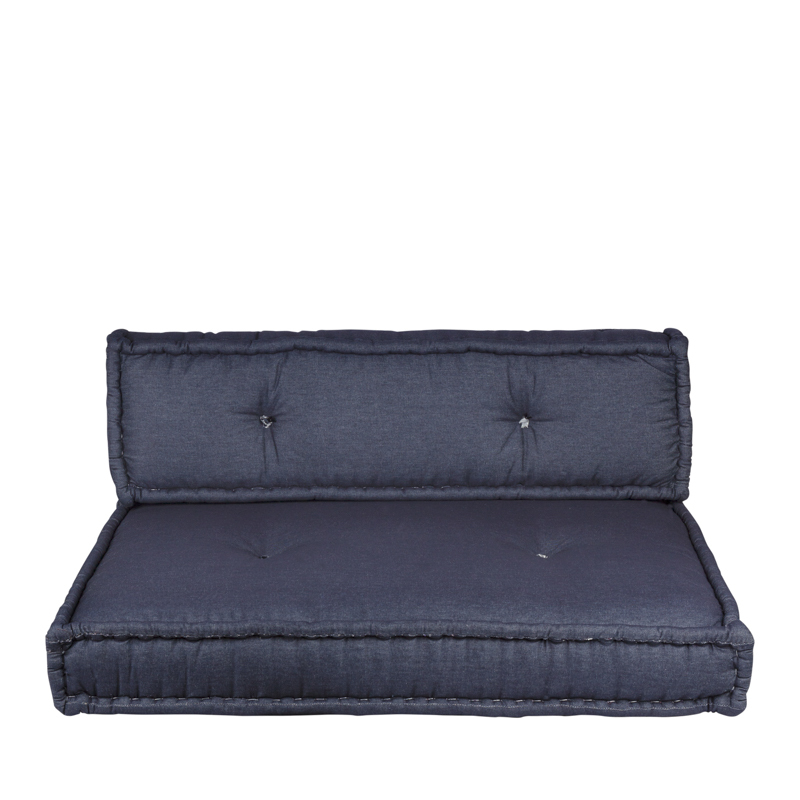 We sell these lounge mattresses in natural, light grey, dark grey and jeans. With a set of two different sizes you already have a couch. Combine different sizes (and colors) to make your own unique couch! Would you like to see the fabrics yourself? No worries, you can easily come by in our warehouse, or we can send you samples of the fabrics for free. Please let us know by writing an email. How are the mattresses made an by who? 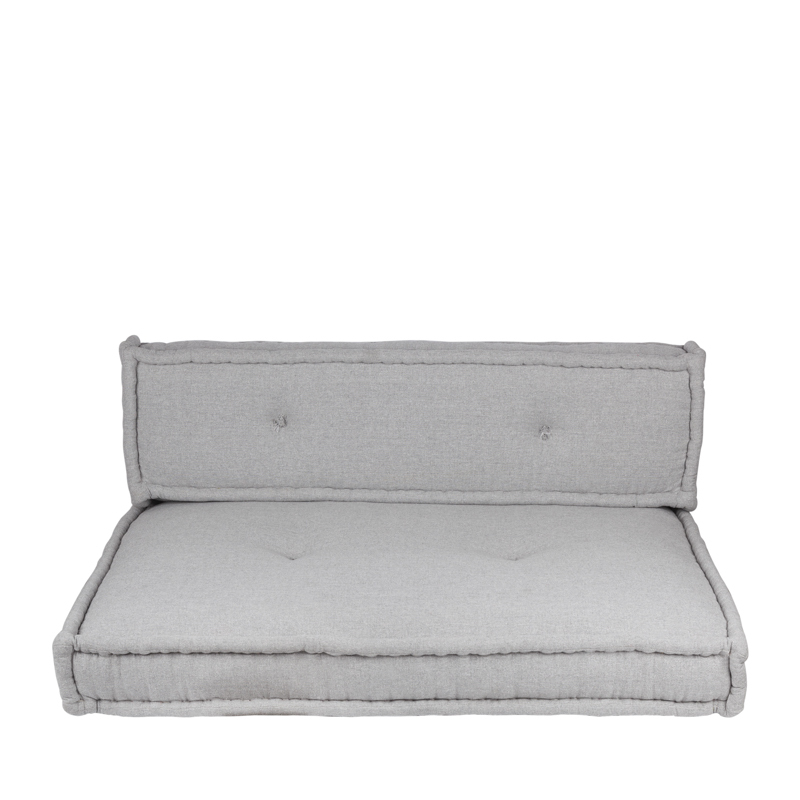 For many years had Household Hardware been producing and designing lounge cushions. In the center of Marrakesh lives Hassam, he makes all our lounge cushion by hand and has been doing this for us for over many years. 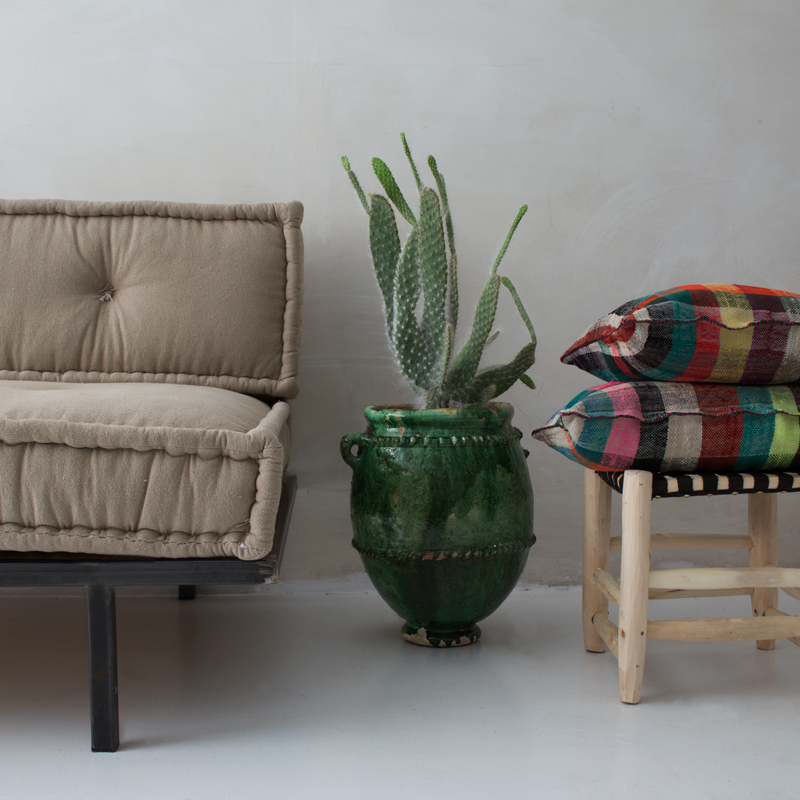 We sell two kinds of lounge cushions. Beside the traditional ones, with a filling made from cotton waste, we also sell lounge mattresses with a water repellent cover. Those last ones are ideal for outside usage.